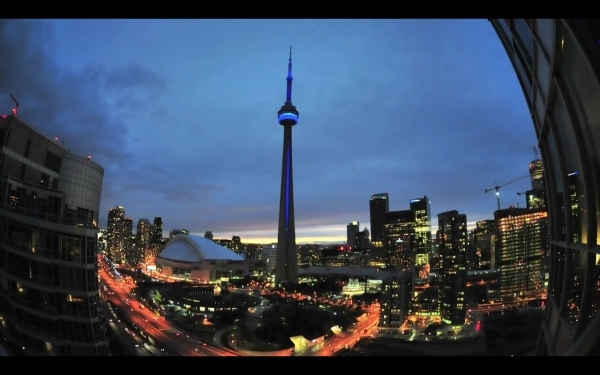 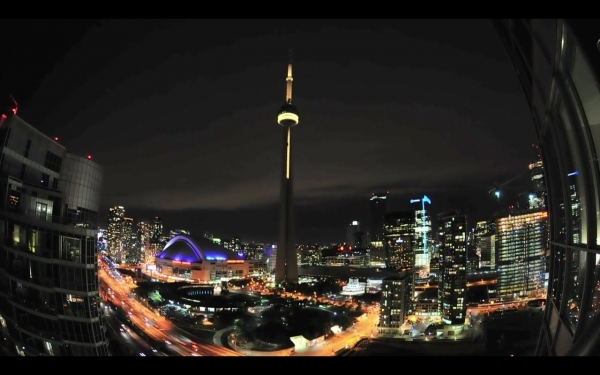 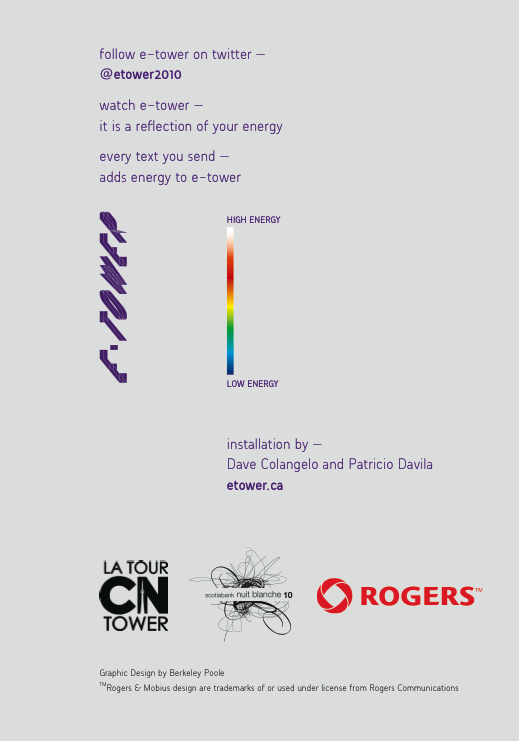 E-TOWER invited participants of Nuit Blanche to increase the “energy” of Toronto’s CN Tower by sending it a text message. 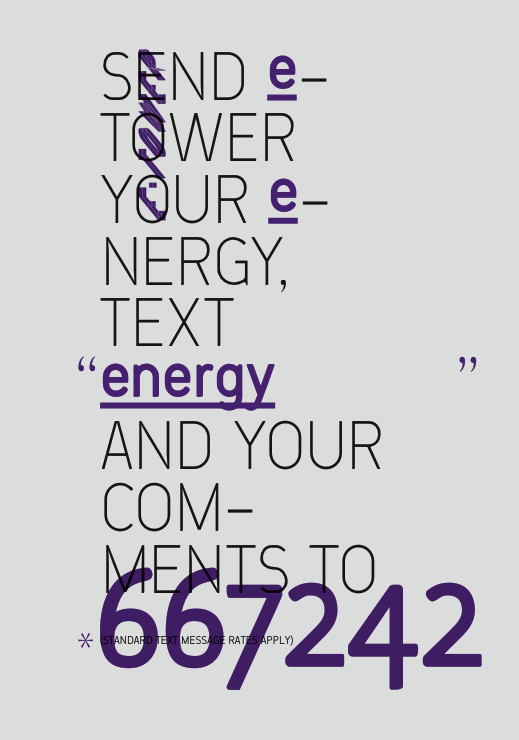 Every text added a bit of energy to the Tower’s lights, making them pulse faster and glow brighter. E-TOWER explored how a programmable LED facade can be used as a tool for cooperative participation and communal reflection and as a means to enable dynamic public data visualizations.